Many times critics and filmmakers argue about the quality of a film’s content or message against its story. Star power and a filmmaker’s ability to draw in an audience also factor into arguments about what makes a film successful. But, one factor stands the test of time and survives all arguments about the monetary success of a film: the box office Mendoza line. Named after baseball’s Mario Mendoza, whose mediocre batting average defined the threshold for incompetent hitting, the box office marks the threshold when theaters drop titles from its screens for the next best opportunity to make money. The moment a film drops below a per screen average of $2,000 per weekend, it’s no longer viable as a money making device. This amount has stood the test of time based on competitive new releases, negotiated house nuts and the duration of marketing budgets. When a film crosses the Mendoza line distributors stop promoting the film in order to cut its potential losses and replace it with new selections. Films that fail to rise above the Mendoza line rarely survive past the second week in theaters, as numerous films fight for the few open screens during each release period. This is partially due to distributors not wanting to lose a screen to a competitor and desiring to manage risk mitigation on the film’s current margins. Theaters also need to maintain a certain level of revenue stream in order to protect its house nut (its negotiated take on concessions). While the exit strategy on films typically cause titles to have a long distribution tail, very little revenue is generated during this period. Most films only make 5-10% more unless it’s in a light distribution window that can generate an additional15%. Analysts that estimate each film’s market potential and weekend predictions, use additional tools that determine expected thresholds of a film’s longevity. For instance, prior to making adjustments based on the impact of social media, all films will make 50% of its opening during its second weekend. The third weekend will make 50% of the second weekend’s box office and so on. However, advertising and social media directly impact the percentage. The alterations can change the percentage from 50% to 35-55%. The addition or dropping of screens due to contract changes or regional performance success can also impact the percentage by a plus or minus 30-45%. While these sound like huge swings, an analyst who has tracked the market for two years can easily estimate within a plus or minus 5% of accuracy. Analysts do take into account outliers and transitions within sub-genres, which paint clear pictures of market trends. This gives production and acquisition departments a leg up when determining future investments and expansion. 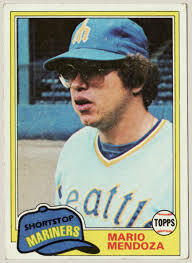 Production companies also benefit from understanding and tracking the Mendoza line. Any picture that never rises above it or falls too quickly below it either has too few super-fans or has a story that didn’t connect on a universal basis. In a fragmented market that’s filled with social media, a film only needs 1,000 super-fans (or influential fans) to succeed. The combination of factors that keep a film above the Mendoza line for numerous weeks includes a great story, influential super-fans, star power and provocative social media. Writer/directors have also become a factor over the past ten years, but are still considered new to the promotional cycle.